The rain has fallen all night. And today it is spring. 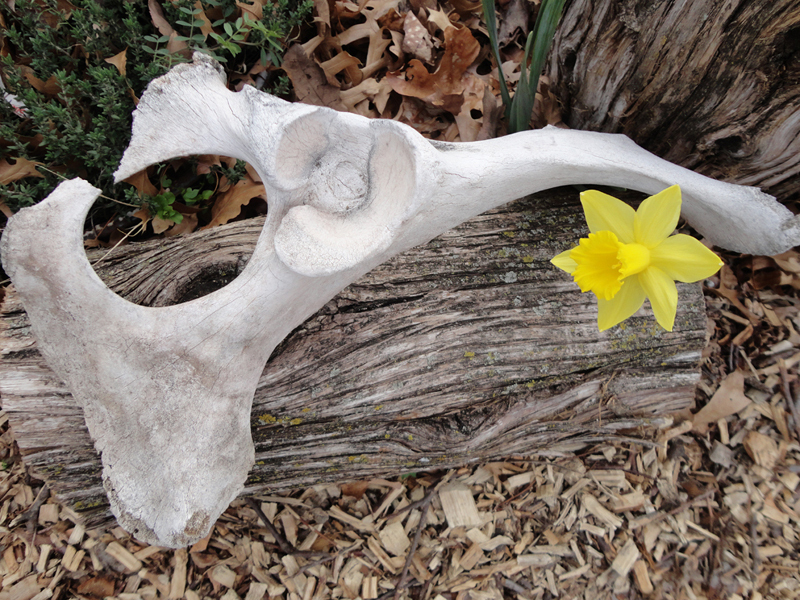 Today begins that season, “when the world is mudluscious” and “the goat-footed balloonman whistles far and wee.” It is spring “when my heart with pleasure fills and dances with the daffodils.” Well…..as soon as the flood is over, I’ll do that dancing anyway. The plants of spring “enter the new world naked, cold, uncertain of all save that they enter.” (William Carlos Williams-“Spring and All”). In spring, go play in the rain. In spring, go out at 3 a.m. in the moonlight, far from any lights of a city or town and lie down in a pasture and look at the stars. In spring, watch how a child experiences the world. The coming and going of all of this (very welcome) rain has definitely made for a beautiful skyline in Oklahoma City. My evening commutes have been very distracting! I love your introduction to spring! “in Just” is my favorite springtime poem. I was just thinking about it the other day as I contemplated a spring equinox layout for my art journal, but I feel like we missed the “mudluscious” part of spring here in IL. We went right from snow to 80 degrees in 2 weeks! I am loving all the sunshine, but I’d like it to drop a degree or 15. But we certainly have the life bursting everywhere, and it is glorious. Amy, thanks for the comment! We have the bursting everywhere syndrome here, also. After over 24-hours of constant rain, the world looks crisy celery green out there. Thank you, Jeannie! As I write, it has been raining nonstop for 19 hours. I can SEE the plants growing.